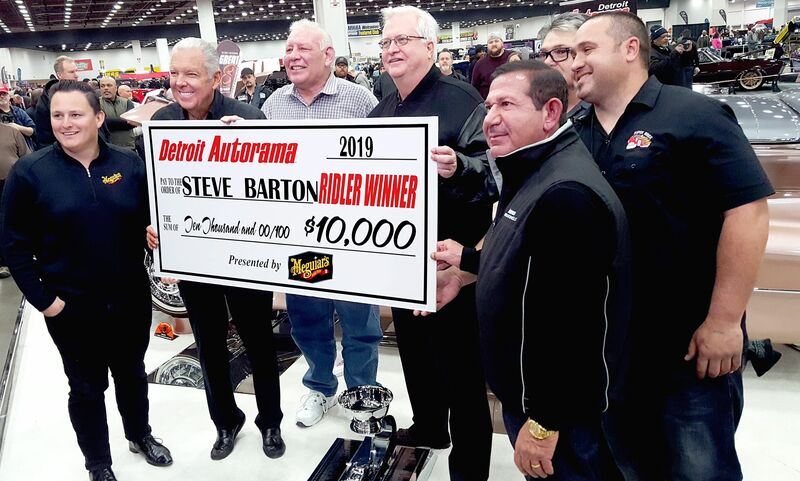 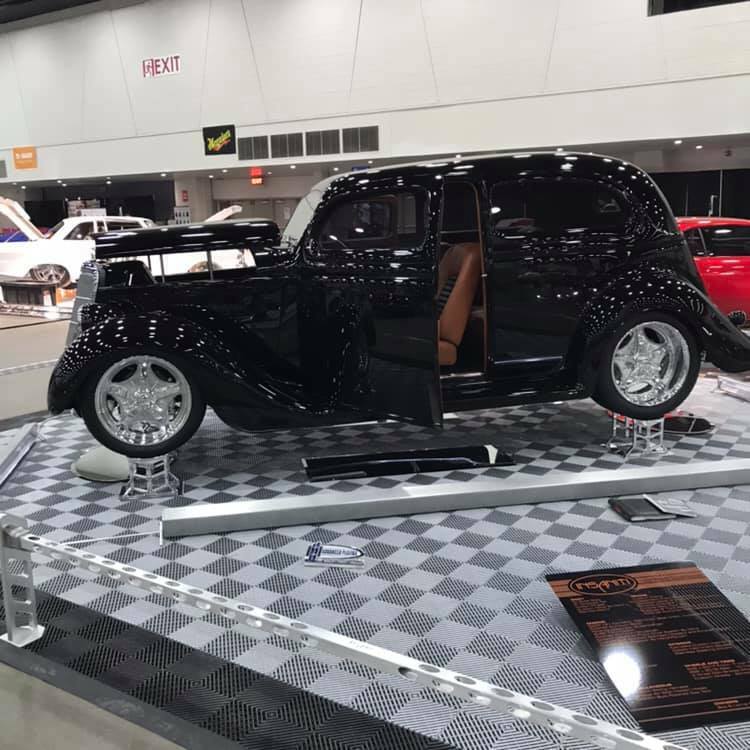 Remaining photos courtesy Championship Auto Shows. 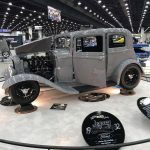 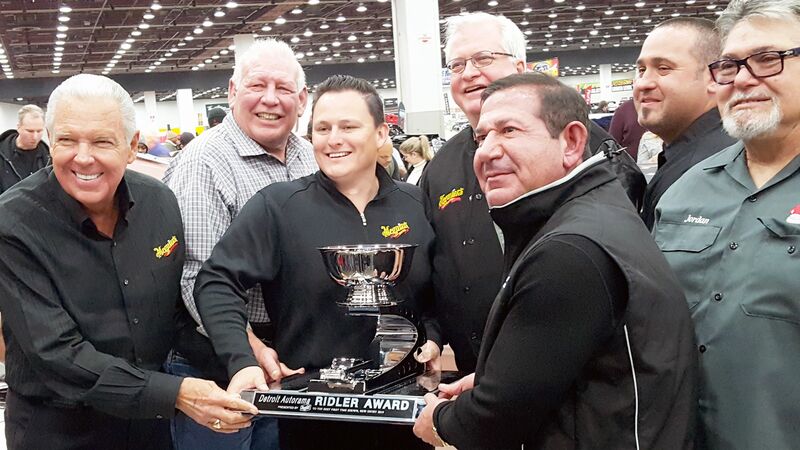 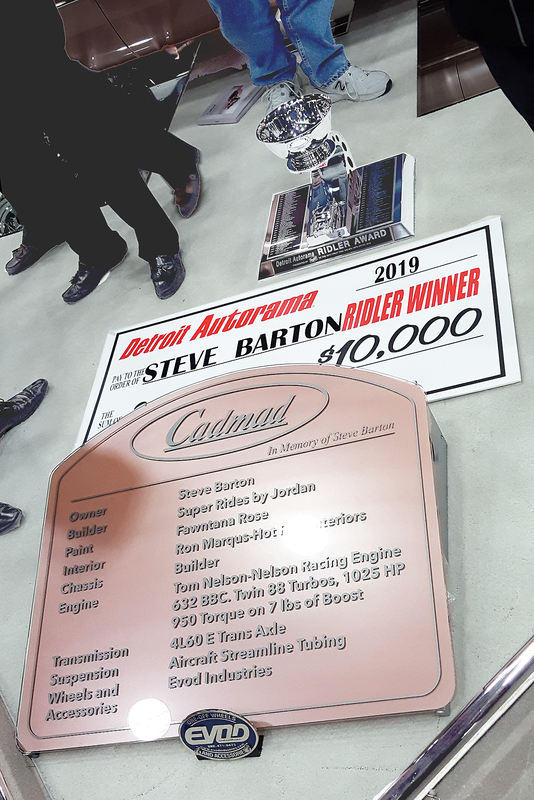 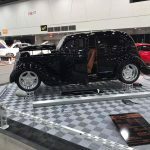 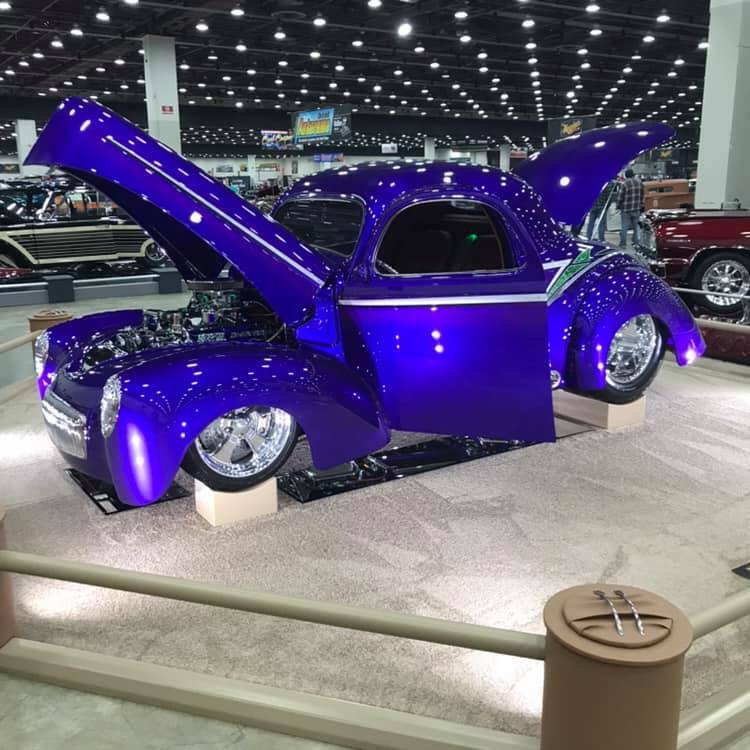 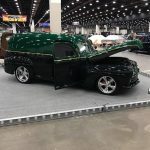 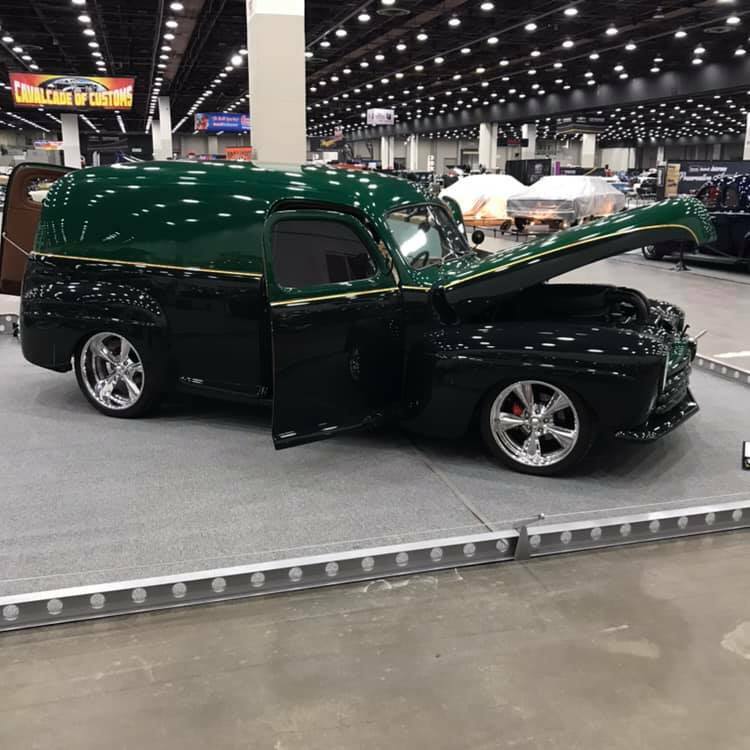 The other Great 8 finalists in contention for the Ridler Award were a 1941 Willys coupe, owned and built by Quint Walberts of Danville, Indiana; a 1964 GM Acadian, owned by Danny, Sandy, and Cody Jadresko of Victoria, British Columbia, and built by J.F. 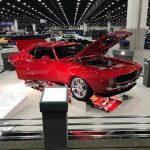 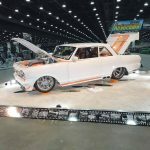 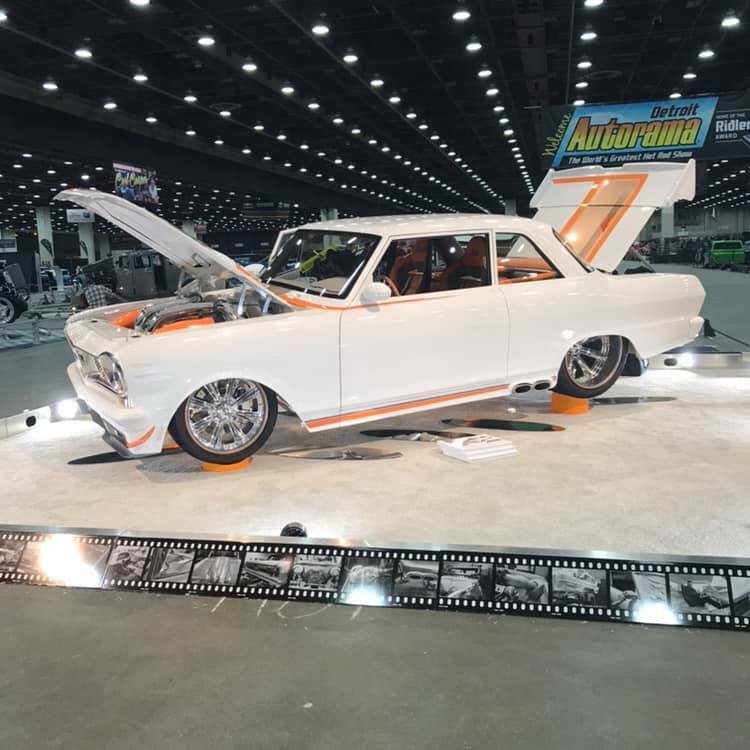 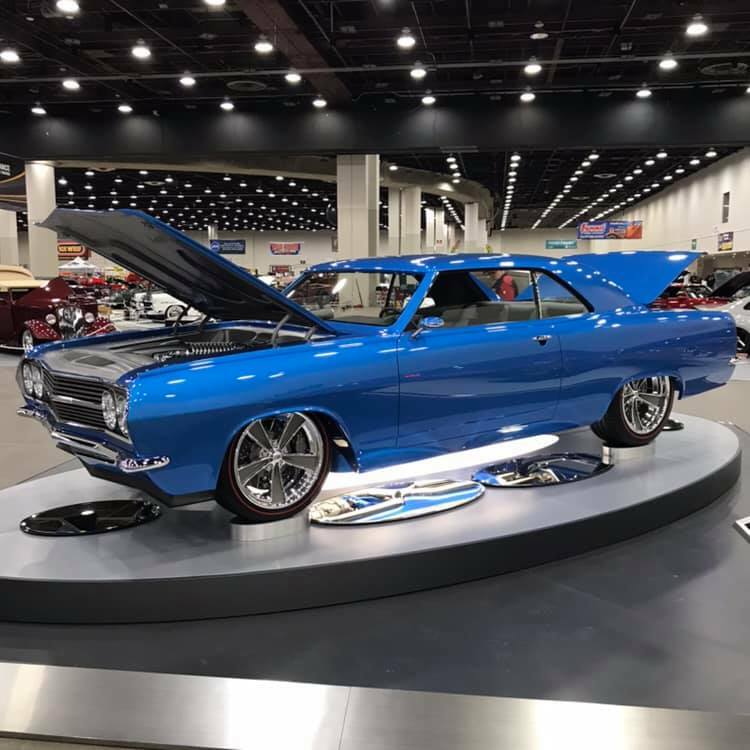 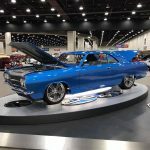 Launier of JF Kustoms; a 1965 Chevrolet Chevelle, owned by Sonny Freeman of Lafayette, Louisiana, and built by Mike Goldman of Mike Goldman Customs; a 1932 Ford Victoria, owned by Phil and Debbie Becker of Dwight, Illinois, and built by Dave Lane of Fast Lane Rod Shop; a 1935 Ford Slantback, owned and built by Robert and Lorna Chapman of Ontario, California Canada; a 1969 Chevrolet Camaro owned by Pat and Debbie Moran of Harrison Township, Michigan, and built by Willy Peart of Willy’s Workshop; and a 1947 Ford Sedan Delivery, owned by Mel Harbaugh of Ottawa Lake, Michigan, and built by Chris Dixon of Wounded Knee Motors. 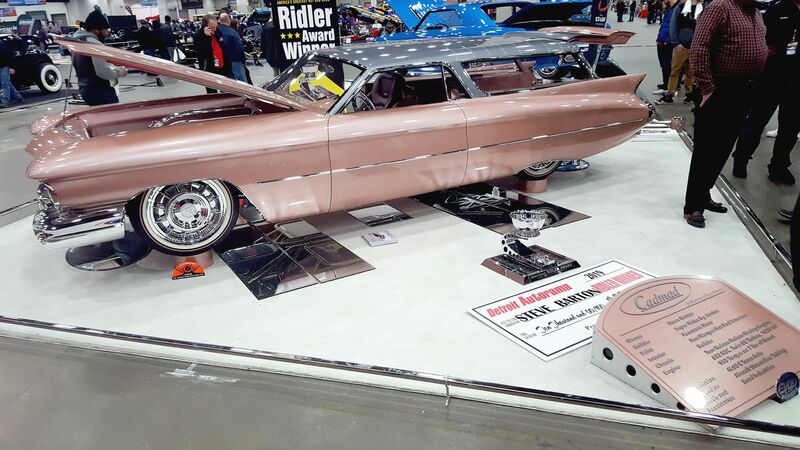 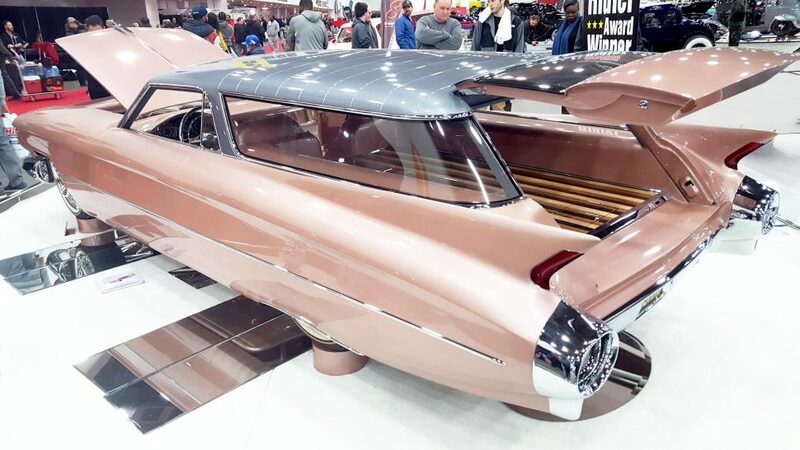 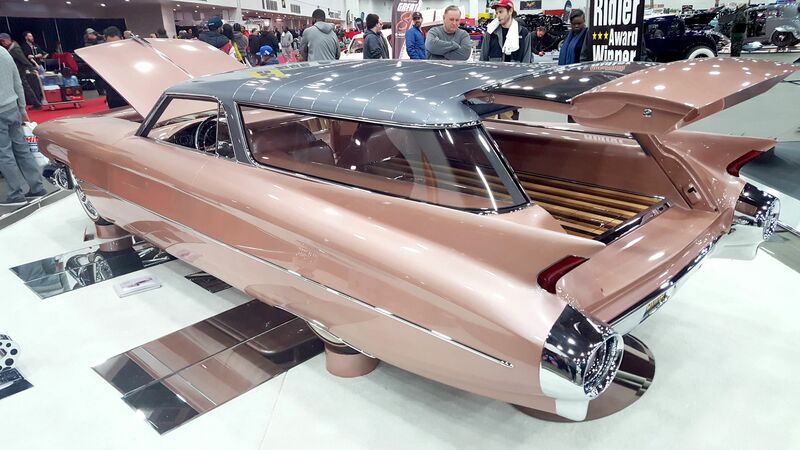 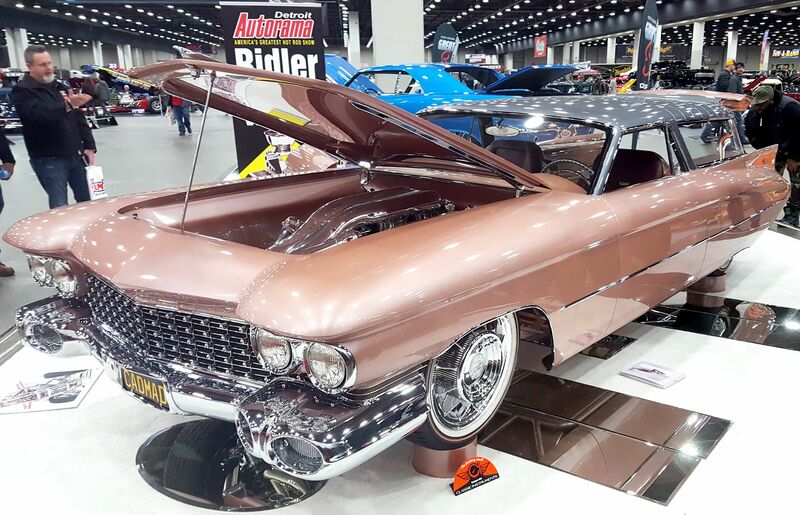 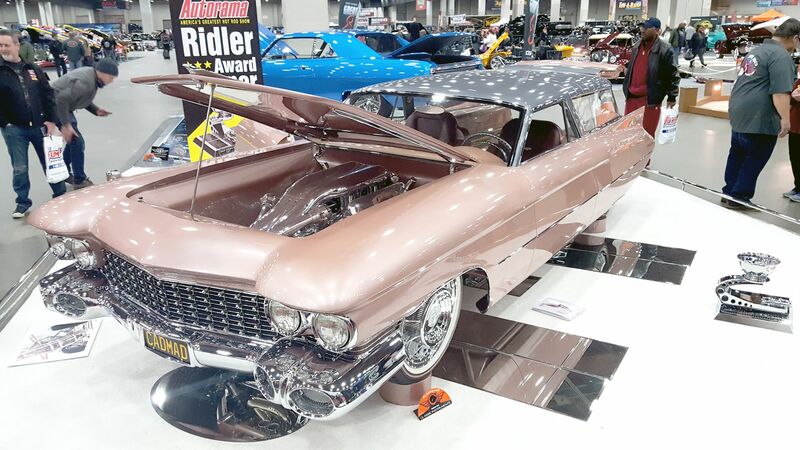 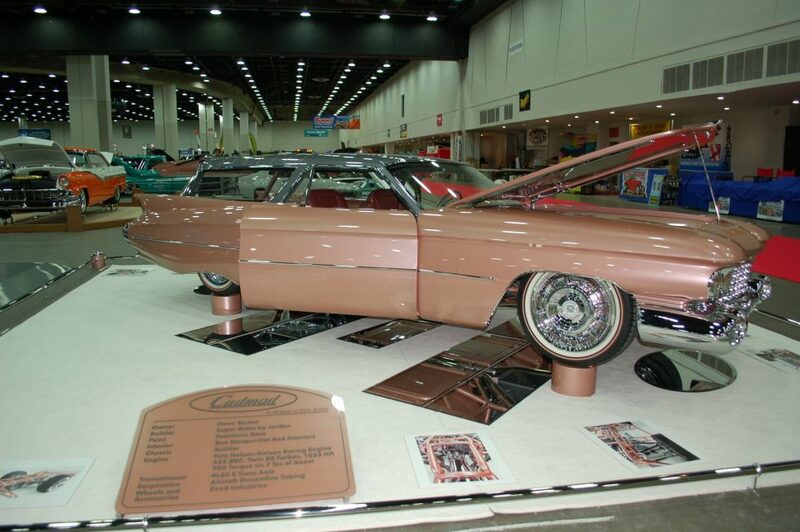 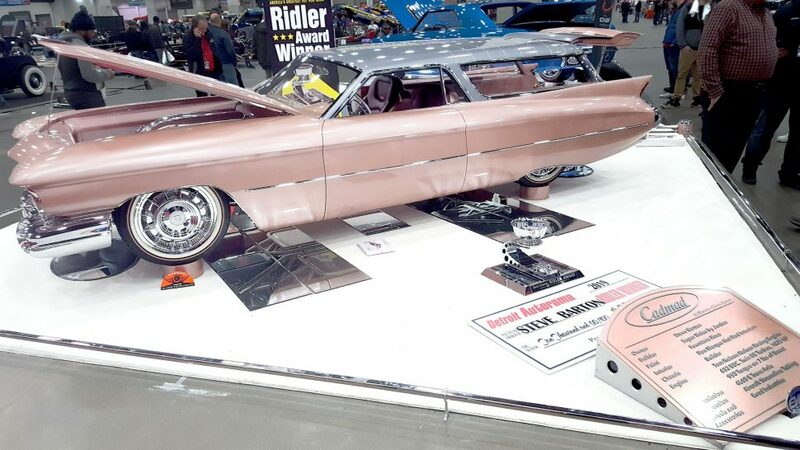 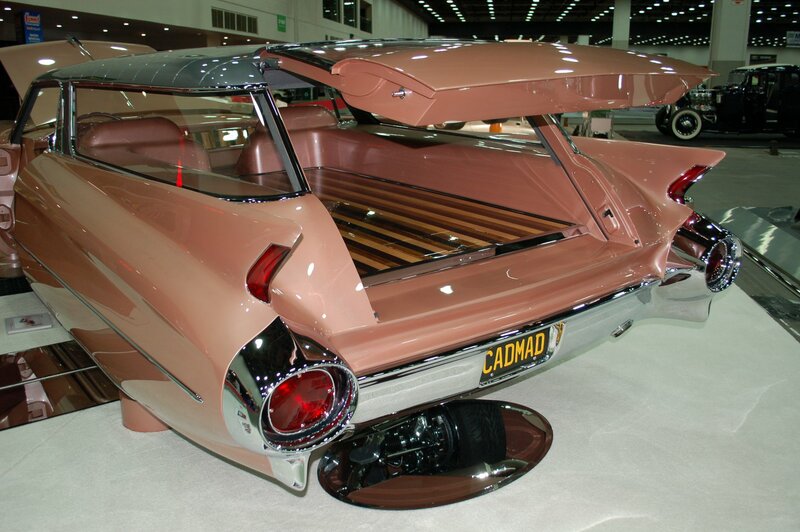 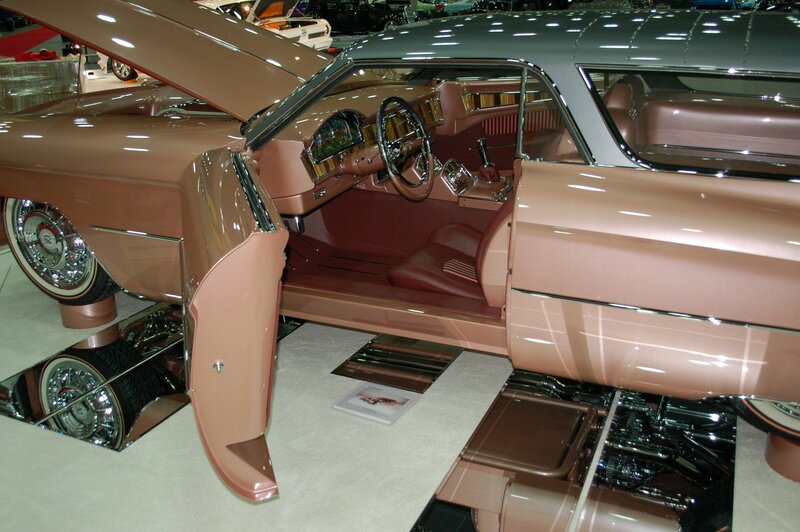 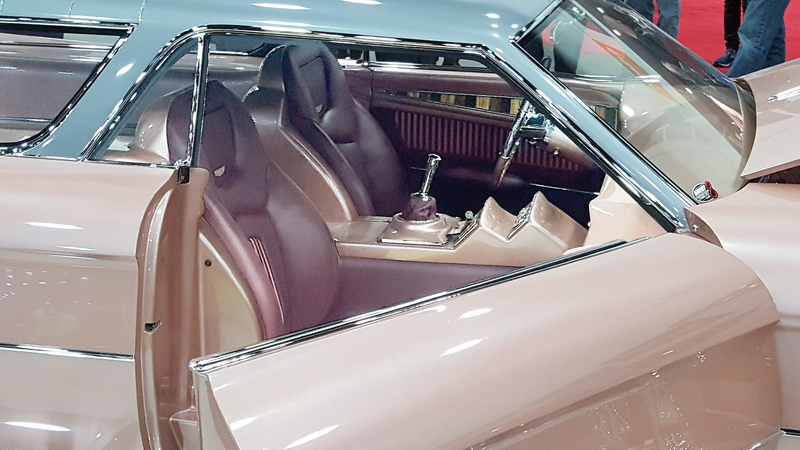 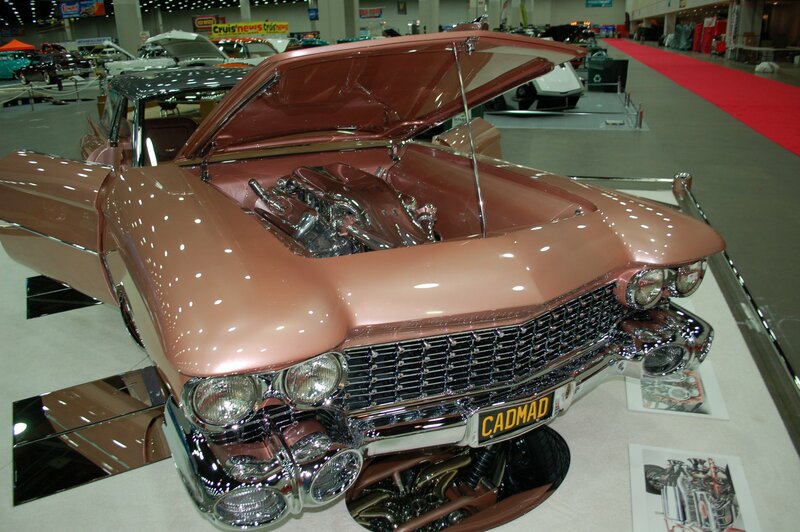 Update (6.March 2019): John Sanderson has provided the additional images of the Ridler Award-winning ’59 Cadillac Eldorado Brougham, below.